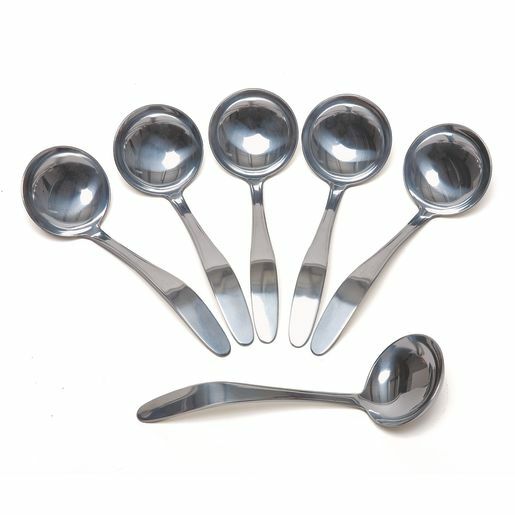 Strength and light weight combine to make stainless steel very practical for use with small children. These serving utensils are easy to handle and also really dress up the table! Ladles are 7.25" long. Set of 6. Dishwasher safe.